I hope you’ve all had a lovely week with plenty of time to craft. 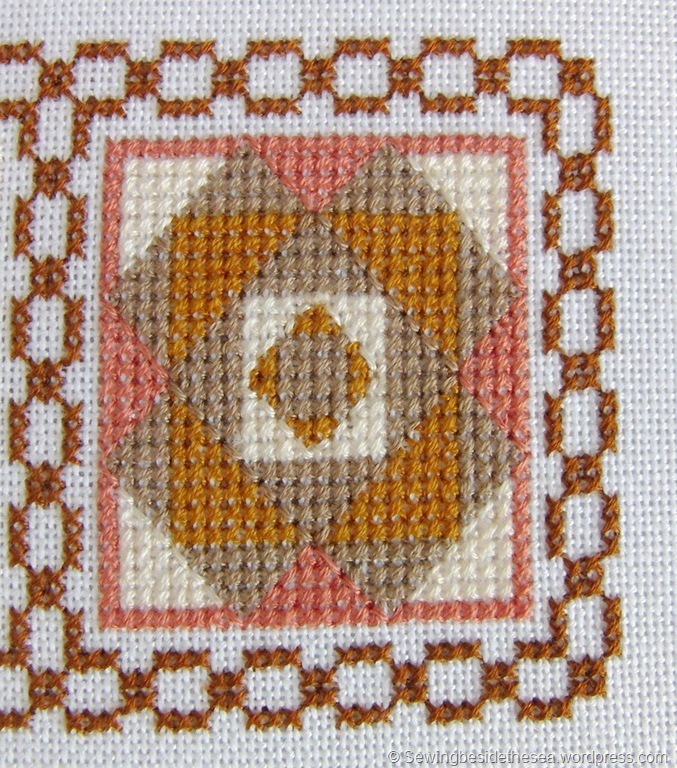 It’s time to show you the progress I’ve made on the quilt cross stitch design by Whispered by the Wind. This is rapidly becoming a design “inspired by” the the one mentioned above. My blocks are nothing like the ones on the chart. Anyway, I’m enjoying stitching and that’s all that matters I suppose. This is my third block. This is block number four. I’m stitching from the same chart as Claire and all of the other stitchers in the group have equally exciting project updates for you today. Click on the names below to go to their blogs and see what they are up to. Our next update will be on 23rd November. We hope to see you then . Looking very nice! The colours are coming together very well. Looking forward to which squares you choose next! It’s going to be so pretty. A great start! 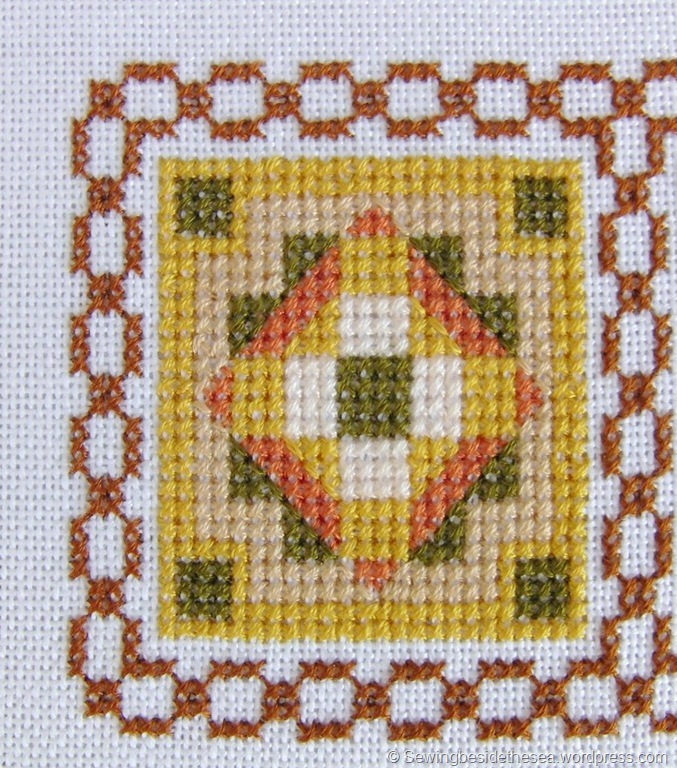 Lovely fall colours and I love the quilt cross stitch too :). Looking really pretty so far!